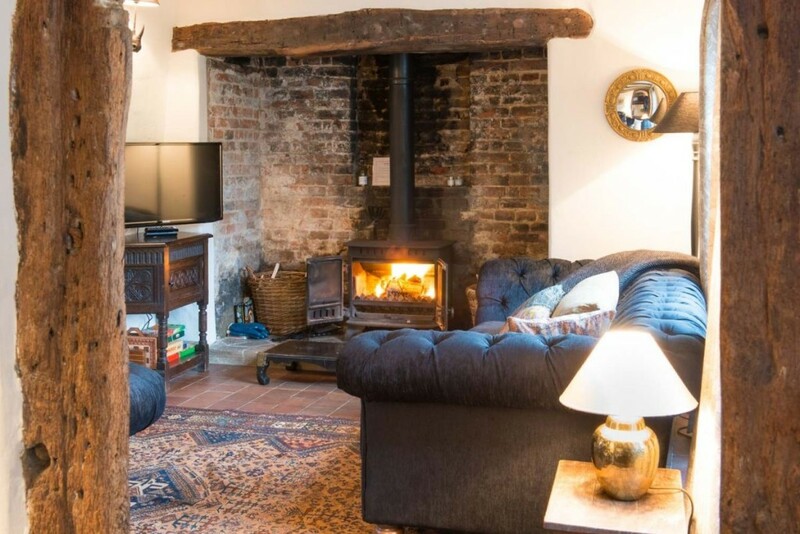 A really beautifully restored 15th Century Hall House, Water Cottage is located in one the charming village of Kersey; one of Suffolk's prettiest villages. 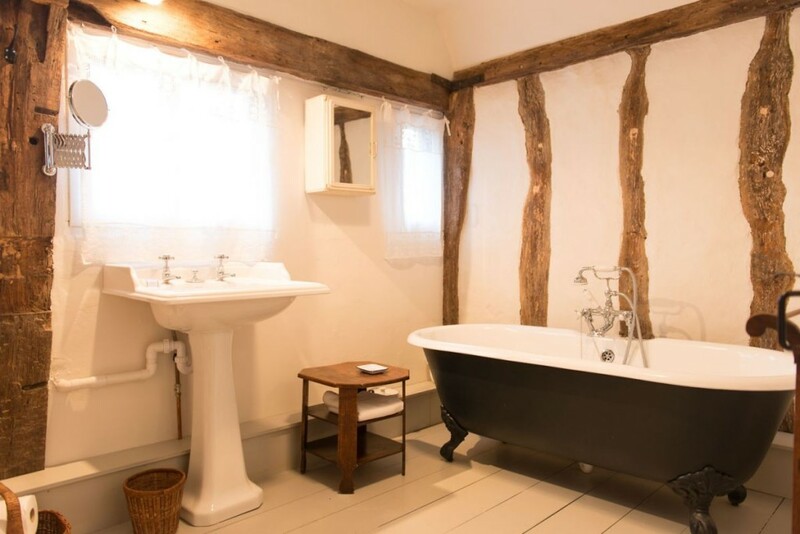 Luxury self-catering cottage, located in one of Suffolk’s prettiest villages. 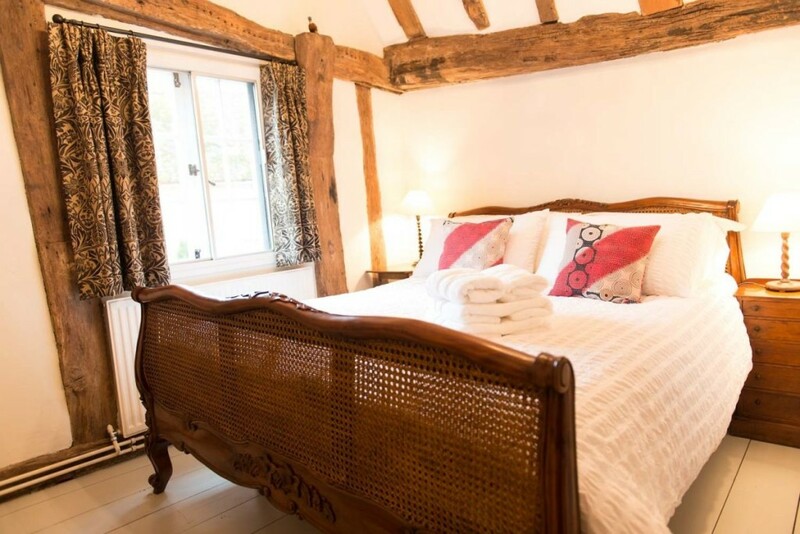 Water Cottage sleeps 5 in a wonderfully relaxing and romantic atmosphere. 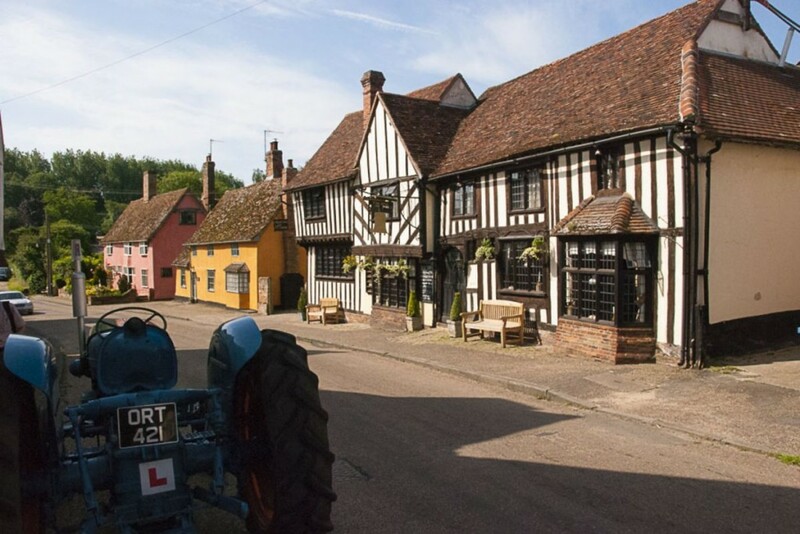 Located in Kersey, a historic village full of charm. Romantic walks right from your back door. No need to worry about leaving your pet pooch behind! Water Cottage is dog friendly, with 2 large dogs accepted. Who would of thought it? 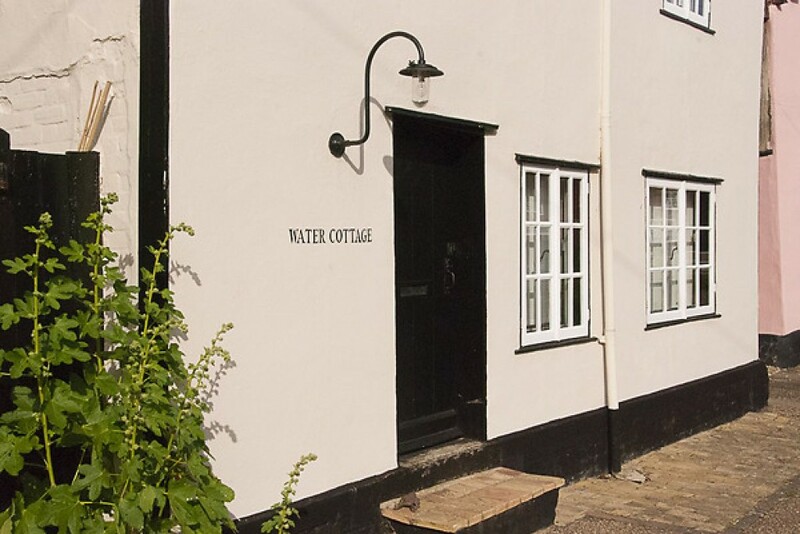 Water Cottage is one of many of our cottages that are just a short distance away from the big city! Take a look at our last minute deals on grove-cottages.co.uk and grab yourself a late booking discount. You enter the cottage into the main room which is divided in two by a central open fire fireplace that faces the dining area to the right. Upstairs there are three bedrooms; two king-size doubles and one bunk bedroom with standard size single beds. 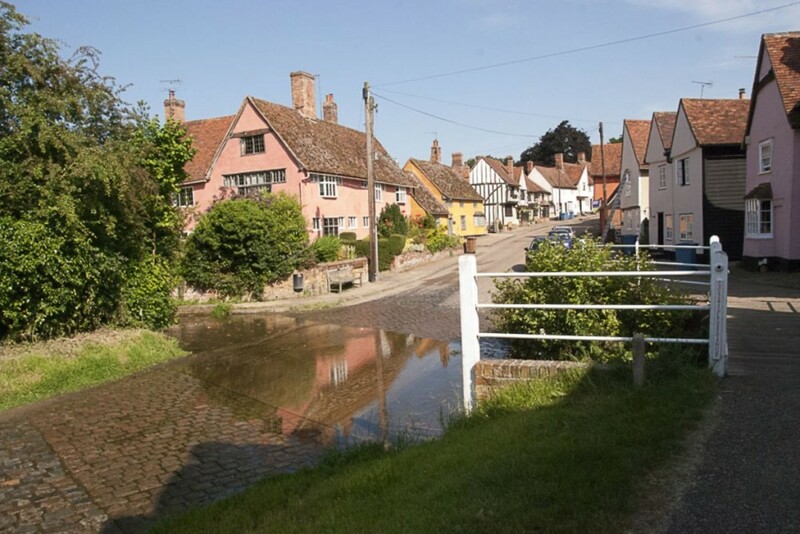 Water Cottage is a beautiful 15th Century weaver’s cottage in Kersey – Suffolk’s prettiest little village. 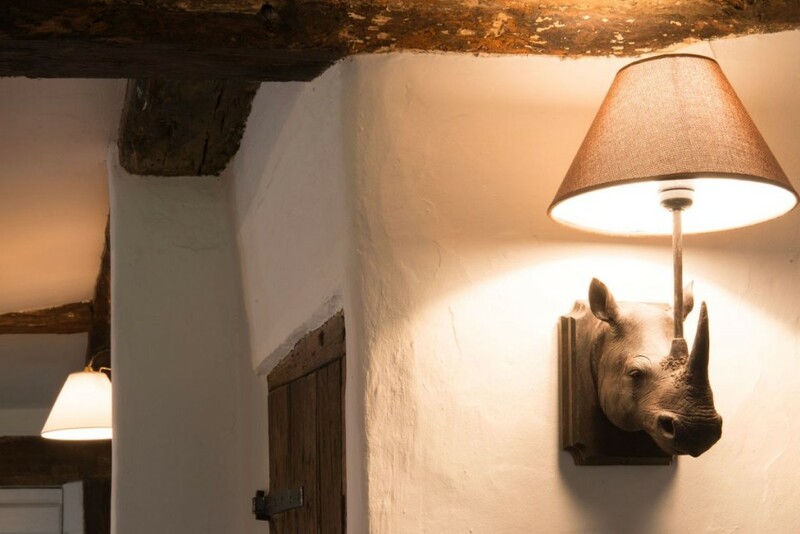 This magnificent timber framed ‘Hall House’ has been carefully restored to its former glory and the wonderful beams and massive inglenook fireplace create a lovely atmosphere for the lucky guests who stay here. We just love reading the reviews of guests who stay at Water Cottage! We had a very enjoyable stay. The cottage is lovely and very cosy. Thank you, I am sure we will be back again! The Bell across the road was also very nice and welcoming. Two very tired and happy dogs. Loads of lovely walks. Two very tired and happy owners! Lovely pub across the road – made very welcome..
A truly restorative break in a delightful, characterful historic cottage. We were warm and cosy. Kersey is unique in having nothing commercial to disturb it’s serenity. The walks and surrounding countryside are beautiful.